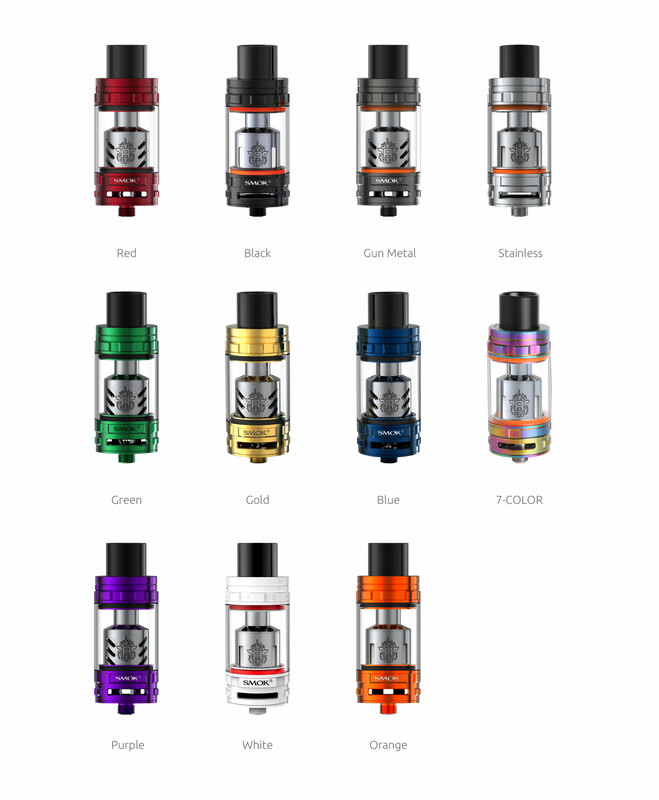 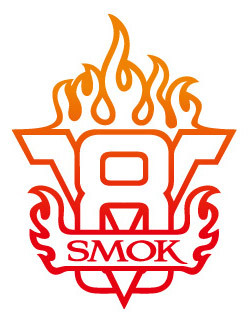 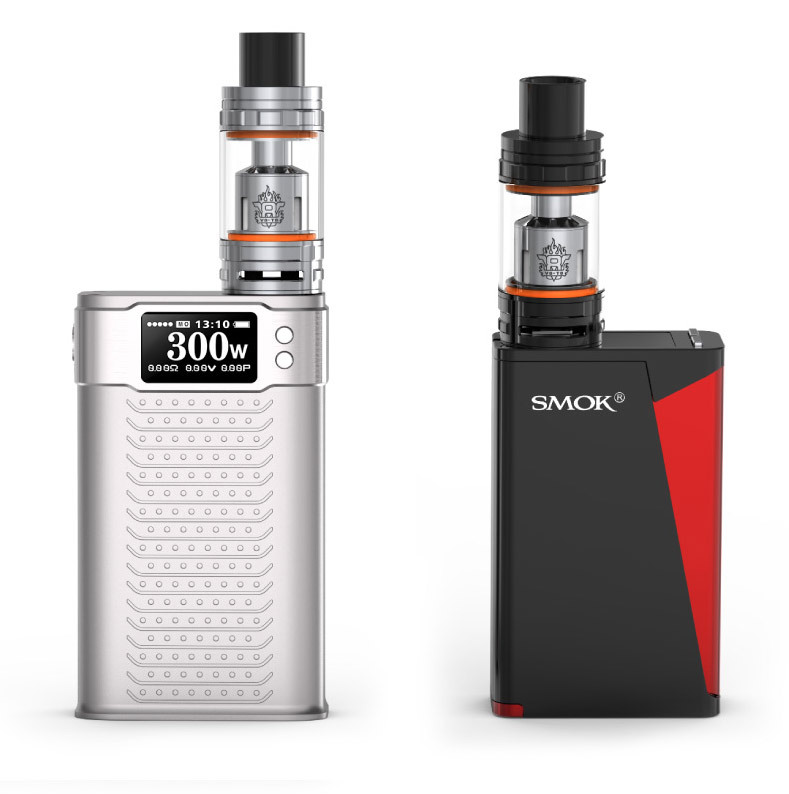 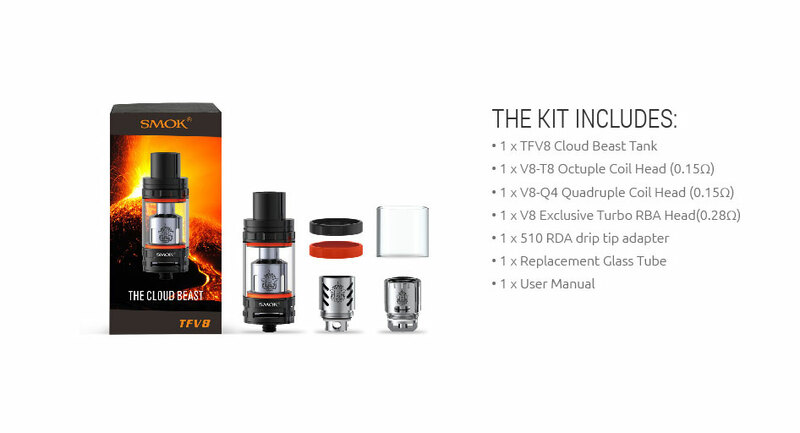 TFV8 - SMOK® Innovation keeps changing the vaping experience! 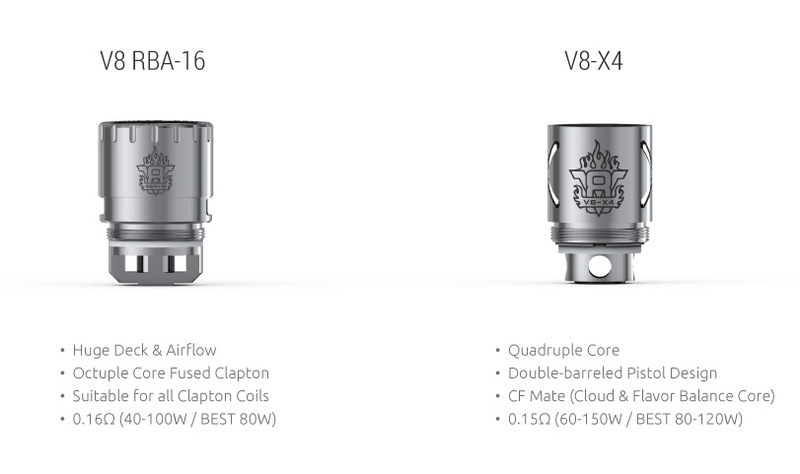 airflow make the TFV8 a high-performance vapor beast! 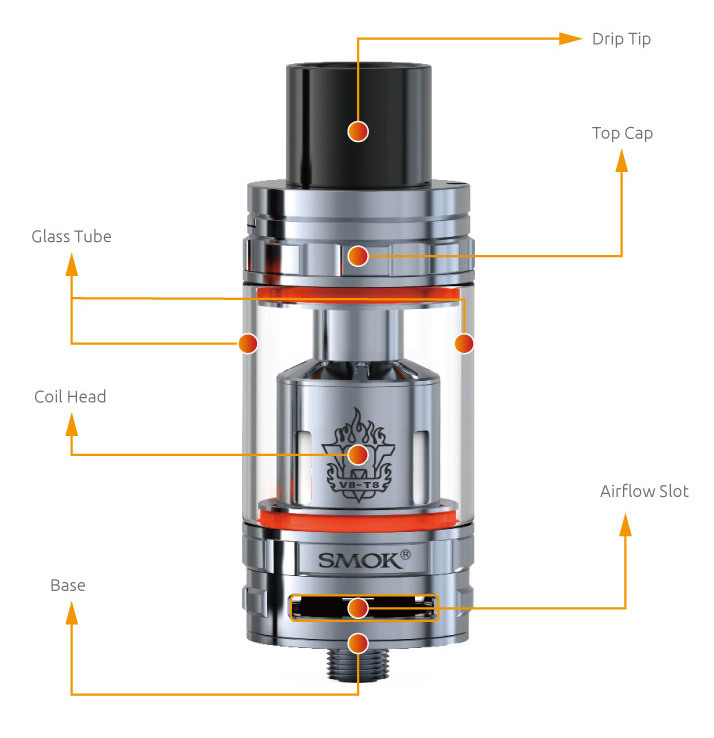 Boosted Heating Air-tube, and Turbo Boosted Drip Tip. 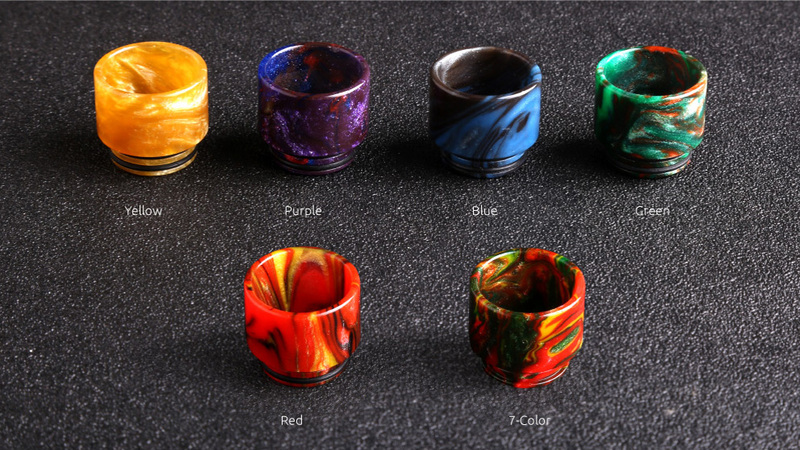 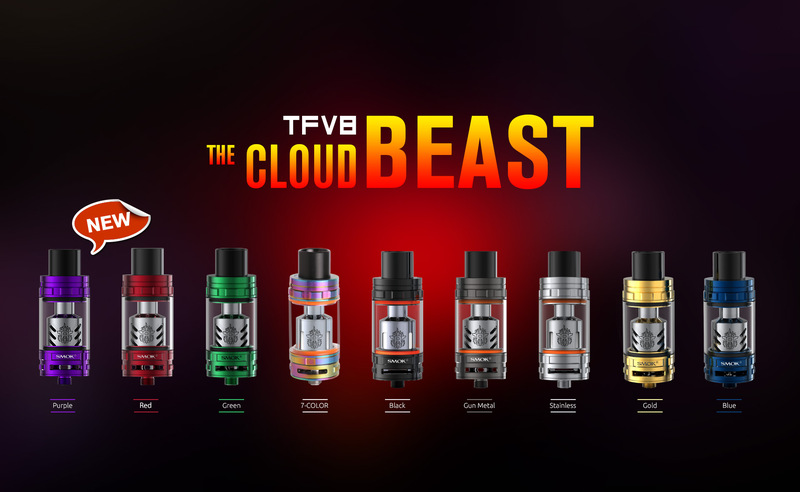 These designs make TFV8 powerful! 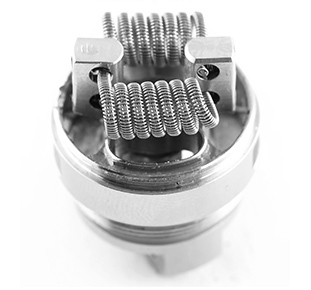 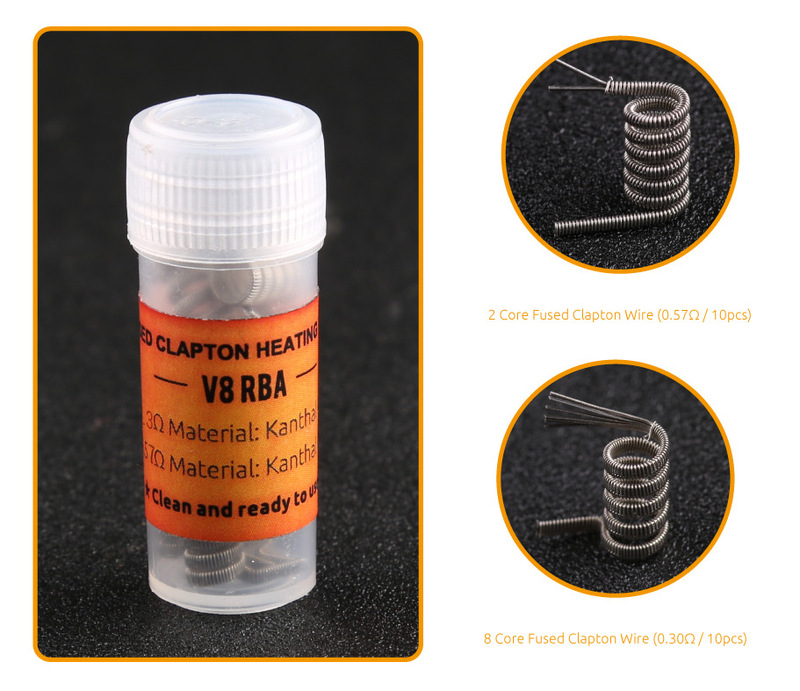 can DIY go-as-you-please; meanwhile, you can have a try with 0.32Ω and 0.54Ω coils. 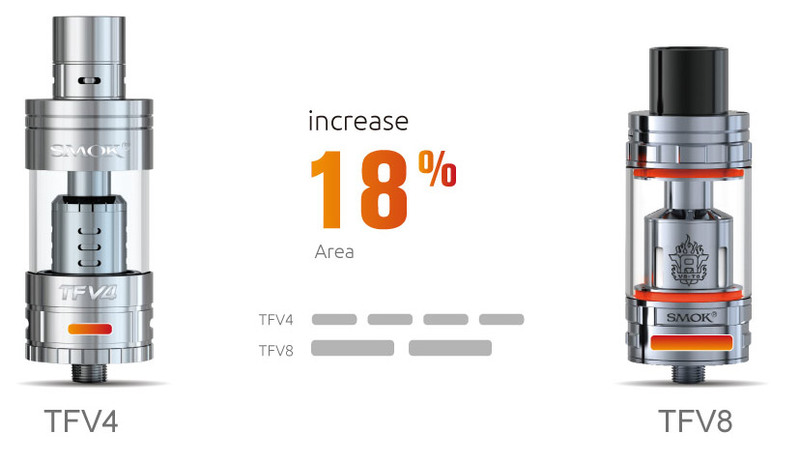 an increased airflow of 18%. 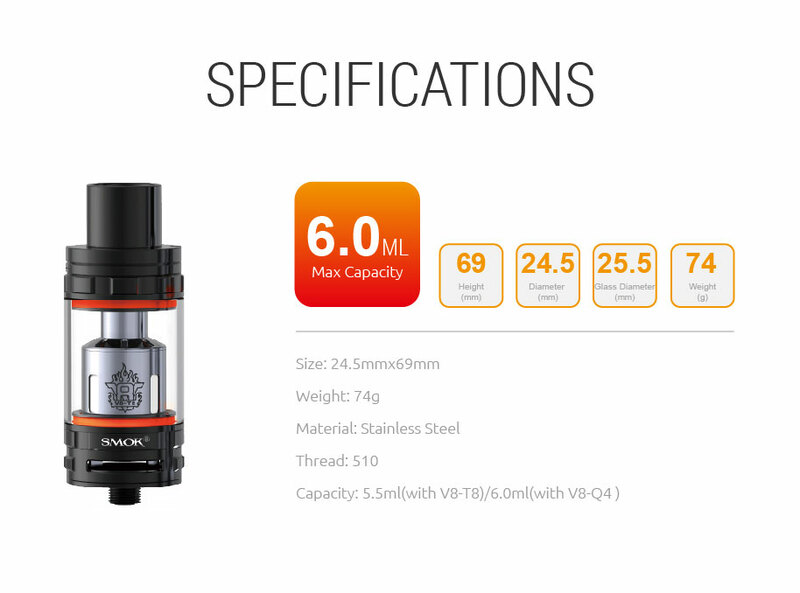 It can be adjusted freely, which allows you to have a unique experience. 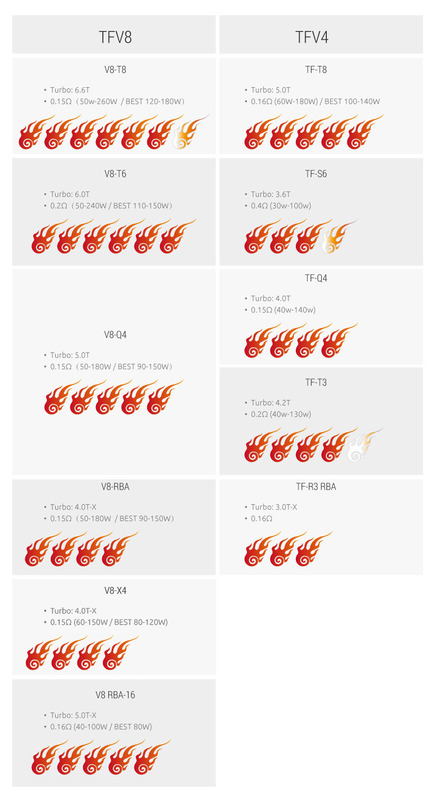 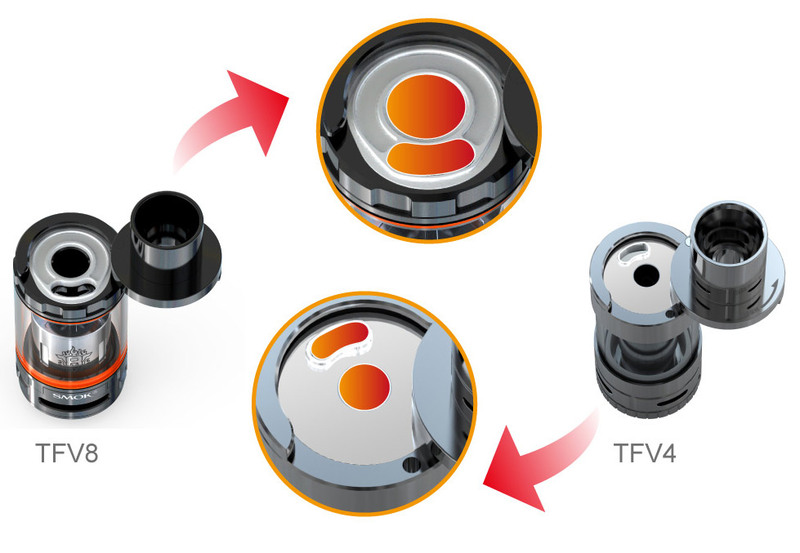 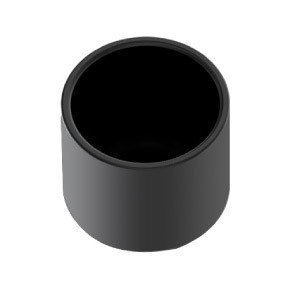 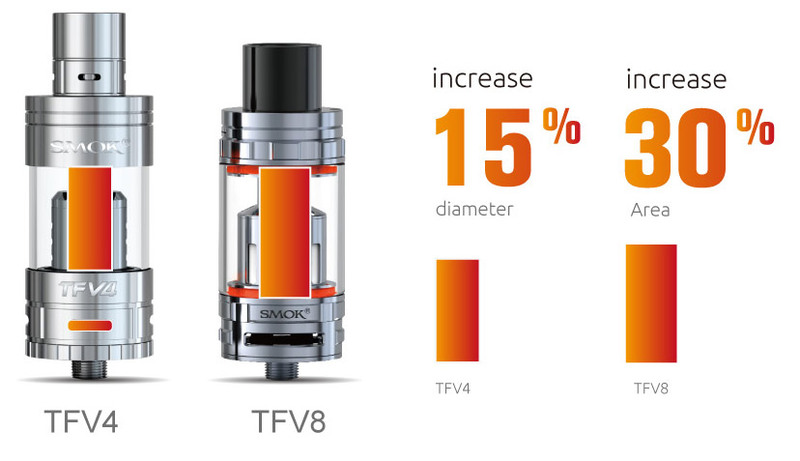 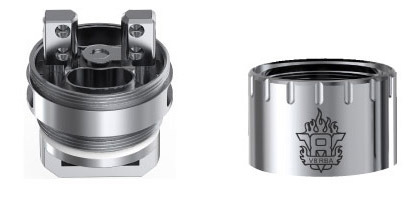 diameter increased by 15%, and area increased by 30% than TFV4 design. 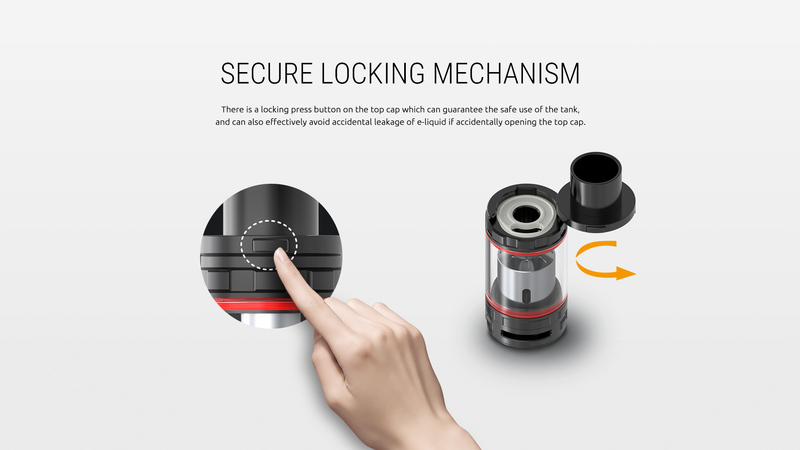 tip helps make that a definite possibility! 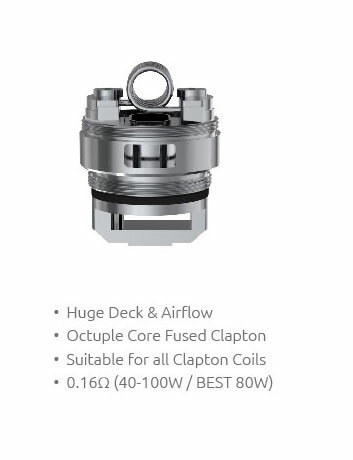 convenient to fill your tank and enjoy more massive clouds of vapor. 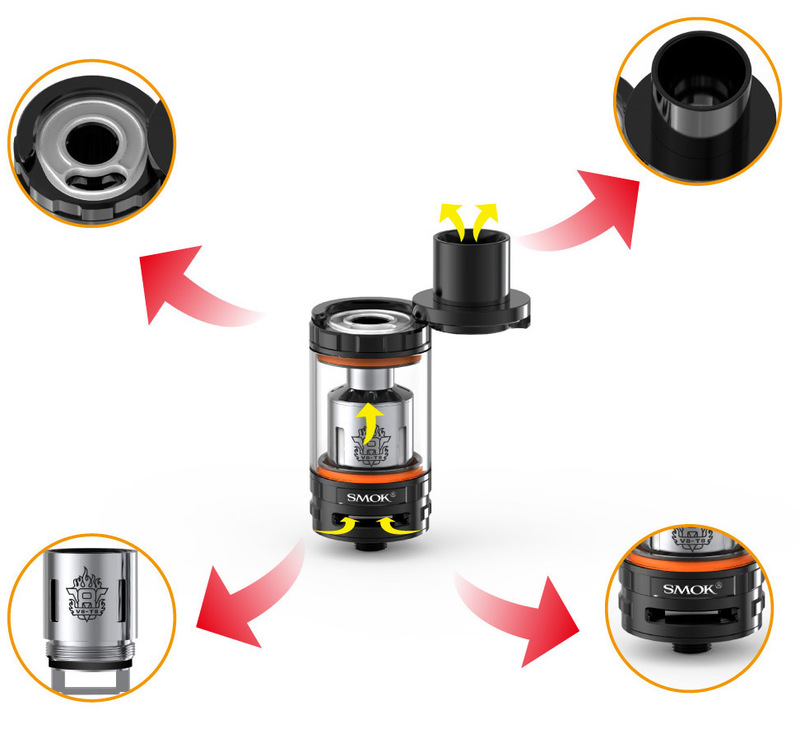 Top rotary refill design makes filling as easy as it gets. 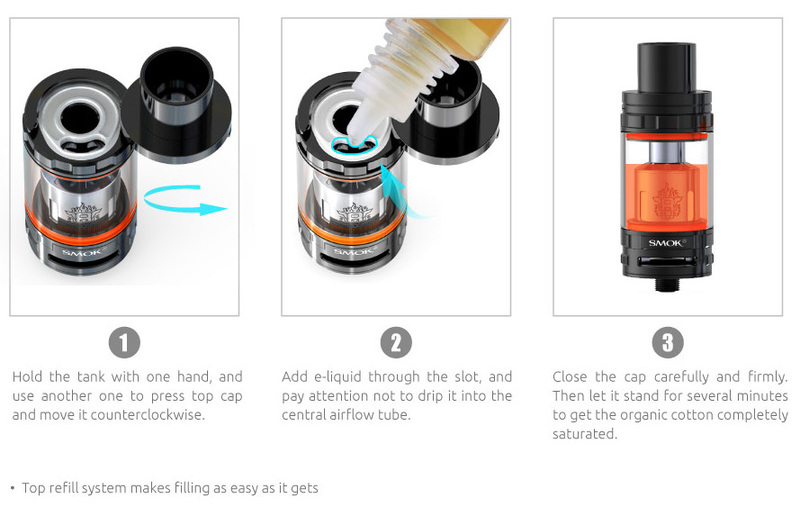 Cut a strip of cotton and make sure it's not too much, and not too little. 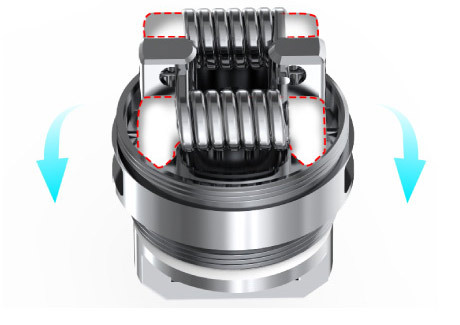 Insert the cotton, and place it in the middle.